PRESIDENT BUSH AND LAURA BUSH HOLD HANDS AS THEY WALK ACROSS THE SOUTH LAWN TOGETHER DURING A PORTRAIT SESSION. THEY ARE ACCOMPANIED BY BARNEY AND SPOT. THE BUSHES POINT TO SPOT TO GET HER OUT OF THE PICTURE. 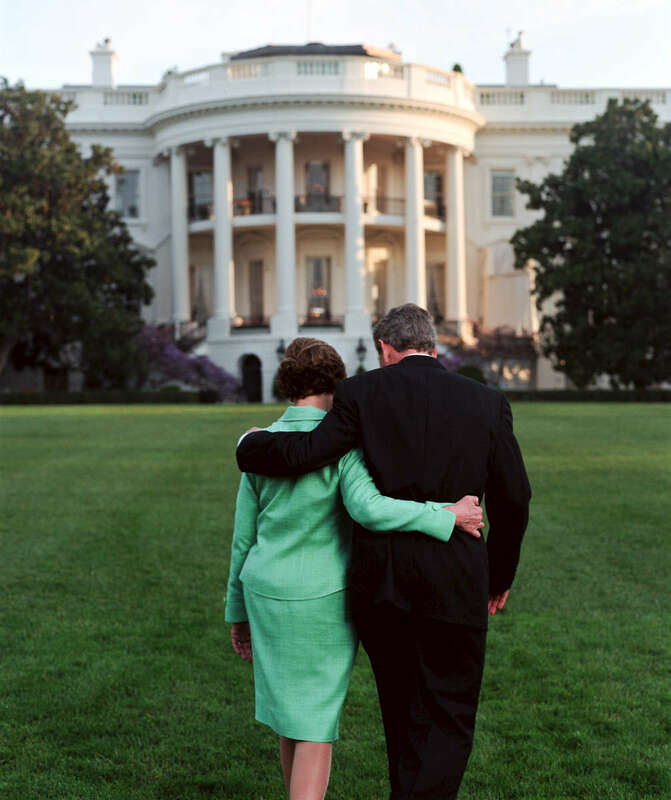 THE BUSHES ARE PICTURED WITH THEIR ARMS AROUND EACH OTHER (SHOT FROM BEHIND). MRS. BUSH TALKS ALONE WITH PHOTOGRAPHER SUSAN STERNER.